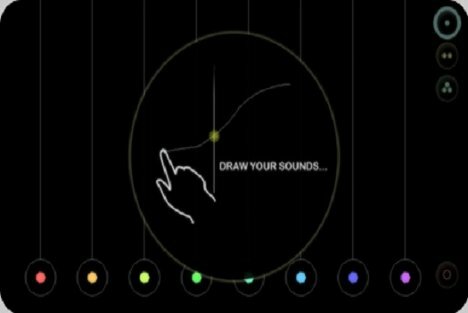 SoundBow is an interactive iPhone musical instrument that lets you “draw” the music you want to create. You use your finger to draw curved lines on the screen – wherever the lines intersect the strings, a sound is produced. The sound repeats constantly, allowing you to invent complex songs that go on and on. Besides drawing swoops and lines on the screen, you can also re-position the strings to customize the sounds. The open-source app is available for free on Google Play.